It has been a heartbreaking week in the world. My heart is heavy with the horrifying loss of life that has occurred both at home and abroad. I often feel helpless during times like these and in many ways I am. 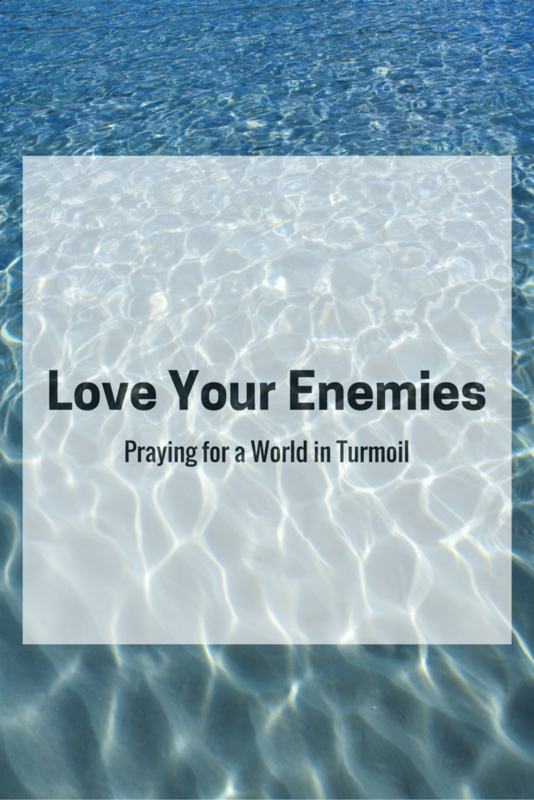 We were reminded by our pastor a few months ago that we are called to pray for our enemies. This verse is powerful. It is asking us to do the unthinkable. It is calling us love EVERYONE, even those who do unspeakable acts of hate and violence. Only LOVE can fight hate and this verse is asking us to do just that. Love. After my pastor reminded us of this bible verse, I have been actively praying for those who are being sucked into evil groups and for those committing heinous acts. I have been praying for them to recognize the evil that they are doing and for them to turn their hearts to acts of love instead. It might seem trivial, but it is actually one of the only concrete things I can do at this point. I have also been praying for the families and loved ones of all those affected by these acts of evil. In addition to praying for my enemies, I always try to meet every person I meet with love and kindness. The smallest acts can trigger change. 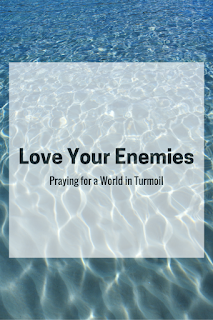 How do you love your enemies? Do you pray for them?